Pilón is renowned for its very heavy, dark maroon–colored wood, which is a wood appreciated in industry. It has an excellent durability, with a specific weight between 0.6 and 0.65 and a density between 0.63 and 0.79 g/cm3. This wood shows acceptable resistance to the attack of termites but is susceptible to wood-decomposing fungi that attack at underground levels. This timber is frequently used for general heavy construction (interior and exterior), marine pilings, boat construction, structures for bridges, railway ties, etc., and for furniture and decorative veneer. Drying is fast and easy; however it may cause twisting, making the wood somewhat difficult to work. A clear difference can be noticed between sapwood and heartwood. 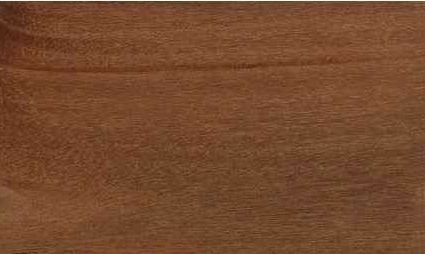 In green wood, the sapwood is reddish brown or pink while the heartwood is dark red, reddish-brown, or deep red-brown, being similar to black walnut in appearance. Pilón wood has a straight or interlocked grain; wood with interlocked grain has a striped or ribbonlike appearance. The texture is moderately coarse and has a low luster. In addition to its importance for timber, this tree species’ importance as a seasonal food source and forage for forest animals makes pilón a vital ecological component of the forests and makes this tree even more valuable left standing. Hyeronima alchorneoides is a species with wide distribution: It can be found from Mexico to the Brazilian Amazon region and in the West Indies. Over Costa Rica, this tree species is abundant in the North Zone, Atlantic Zone, and the south. The species is a canopy tree of the humid and very humid tropical forest, according to L.R. Holdridge’s classification of life zones (1987), where the annual temperatures vary between 24º and 32º C (75º and 88º F) and rainfall is 3500 to 5500 mm (138 to 216.5 inches), and the elevation goes from sea level to about 900 m (2970 feet). It is located in primary forest (frequently perceived as undisturbed forest in a late stage of succession) and in secondary forest as well (defined as forests regenerating largely through natural processes after significant human disturbance of the original forest), commonly along the rivers and creeks. This species’ frequency has been reduced lately in the primary forest; nevertheless it can regenerate in the secondary forest. The species is dioecious (having male and female flowers on separate plants). The flowers are small, white to yellowish-green in color, and grouped in axillary panicles (flowers grouped at the sides or ends of the branches). Hyeronima alchorneoides is a tall, emergent tree. It may reach between 45 and 50 m (148.5 and165 feet) in height and 120 to 150 cm (3.96 to 4.95 feet) DBH (diameter at breast height). But some trees can be found with a DBH of 170 cm. Pilón has a straight and cylindrical trunk with little-extended but well-defined buttresses. The bark is fissured, broken, and gray-red-brown colored and exfoliates in thin layers. Internally it is pink or light red and contains a large amount of tannins. 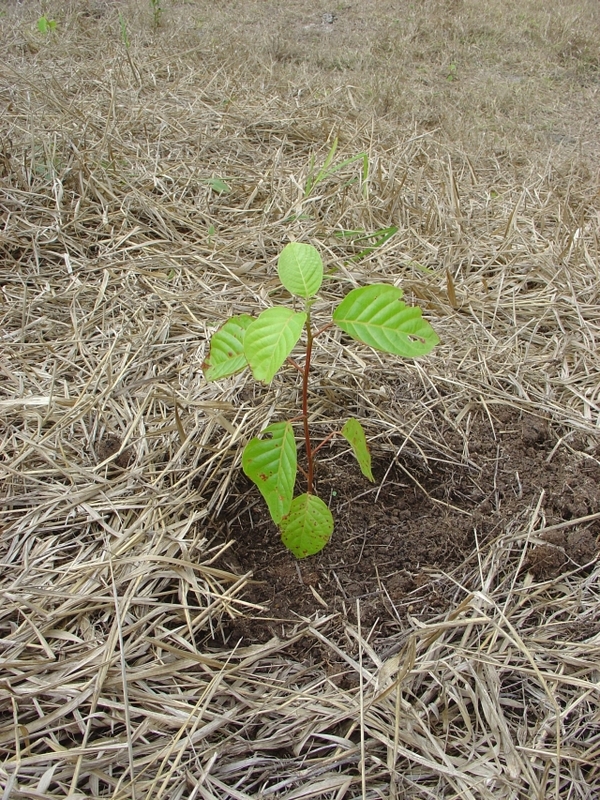 According to the COSEFORMA Project (1998), in the Costa Rican North Zone this species grows well in plantations and has increased at an annual average of 2.52 cm (1 inch) in diameter and 2.5 m (8.25 feet) in height during the first 5 years of planting with good management and maintenance, which makes it a promising species for reforestation in Costa Rica’s north region.